Watch The Joint Yard Show That The Zetas And Sigmas Threw At Southern University! The Southern University Zetas and Sigmas teamed up to show their yard who runs things! The Rho chapter of Phi Beta Sigma and the Beta Alpha chapter of Zeta Phi Beta did a joint yard show at Southern University (Σouthern U)! According to one of them who submitted the video to WatchTheYard.com they wanted to show the yard what they said the “REAL PHIRST PHAM is all about!” They were throwing diss chants left and right! 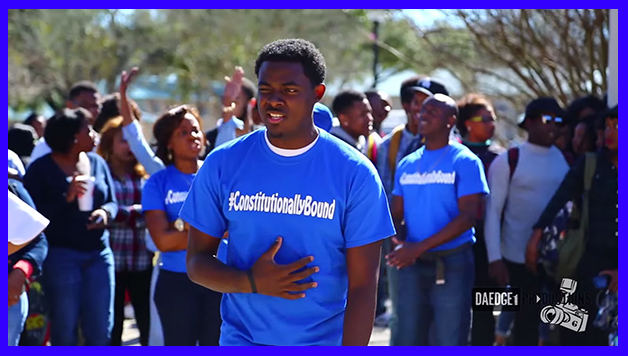 Share this video if you support that Blue Constitutionally Bound Dove Love!